What a difference straight teeth can make! A great-looking smile can boost your self-confidence and have a positive impact on social and professional opportunities. Orthodontic treatment is the original smile makeover tool — and you will be happy to know that you're never too old to take advantage of it. But it isn't all about looks: Properly aligned teeth help you to bite, chew and even speak more effectively. They are also easier to clean, which helps keep your mouth free of tooth decay and gum disease. The amazing thing about orthodontics is that it harnesses the body's natural ability to remodel its own tissue. With the application of light, constant force, orthodontic appliances gently reshape bone and move teeth into better positions. Some examples of these appliances are traditional metal braces, inconspicuous clear or tooth-colored braces, and clear aligners, a relatively new option for adults and teens. 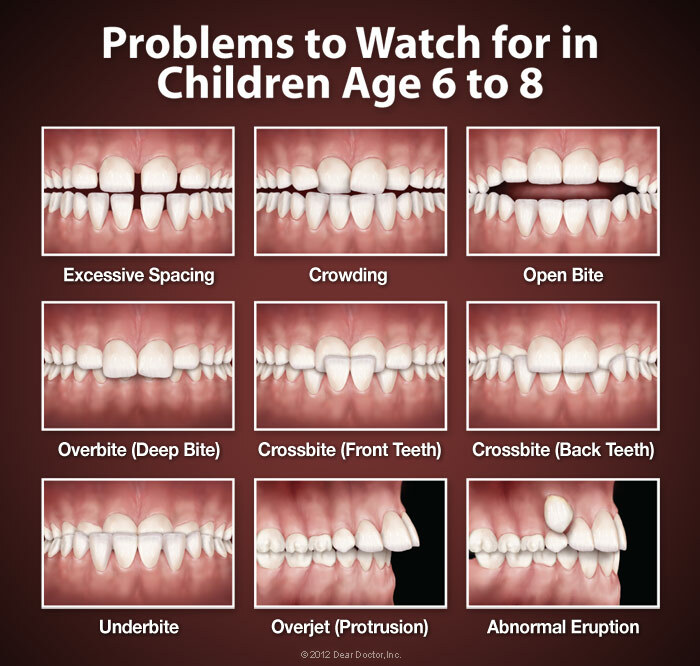 Orthodontic treatment can resolve a number of bite problems, which often become evident by around age 7. These include underbite, crossbite or excessive overbite, where upper and lower teeth don't close in the proper position; open bite, where a space remains between top and bottom teeth when the jaws are closed; and crowding or excessive spacing, where teeth are spaced too close together or too far apart. To correct bite problems, teeth need to be moved — but doing that isn't as hard as you might think! Teeth aren't fixed rigidly in their supporting bone; instead, they're held in place by a hammock-like structure called the periodontal ligament, which is very responsive to forces placed on the teeth. Orthodontic appliances move teeth by careful application of light, constant pressure. This force can be applied via metal wires that run through small brackets attached to the teeth (braces), or via the semi-rigid plastic of clear aligners. Having orthodontic treatment in childhood is ideal in order to take advantage of a youngster's natural growth processes to help move the teeth into proper alignment. Like the rest of the body, the teeth and jaws are now changing rapidly. 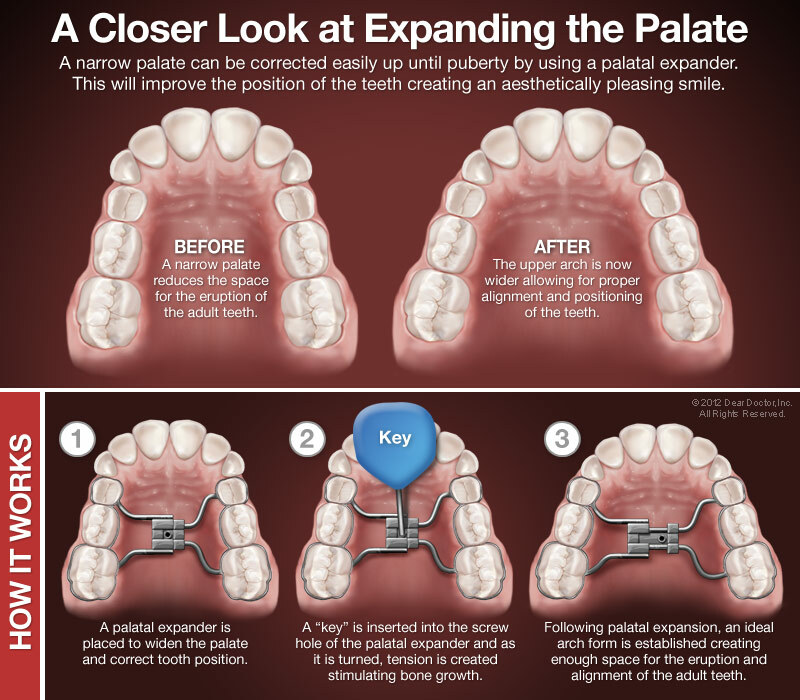 So at this time it's possible (for example) to create more room for teeth in a crowded mouth by using a “palatal expander” to rapidly widen the upper jaw. This phase of growth modification can shorten overall treatment time and ensure the best result if additional orthodontic appliances are needed. But remember, healthy teeth can be moved at any age, so you've never “missed the boat” for orthodontic treatment. In fact, about one in five of today's orthodontic patients is an adult. Several new technological developments — including tooth-colored ceramic braces, clear aligners and invisible lingual braces — have made orthodontic appliances less evident, and enhanced the treatment experience for grown-ups. Before treatment, adults are carefully examined for signs of periodontal (gum) disease, which will be brought under control before treatment begins. When you imagine someone wearing braces, you probably picture small metal brackets bonded to the front of the teeth, with a thin wire running through them. This time-tested style remains very popular — but it's no longer the only option. 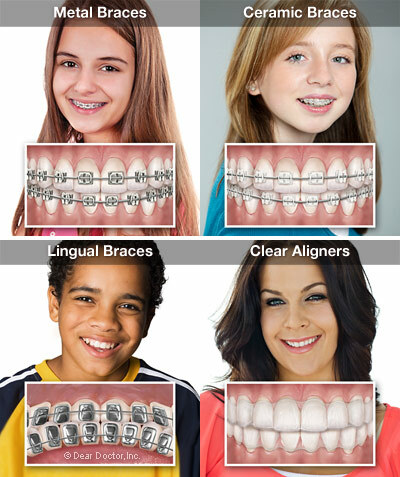 Clear braces use brackets made of ceramic or plastic which, except for the slim archwire, are hardly visible. Lingual braces are just like traditional metal braces — except they're bonded to the back of your teeth (the tongue side) so that no one can see them. 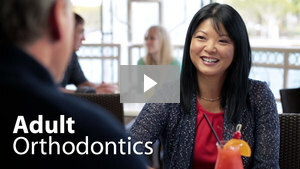 Removable clear aligners are an alternative to fixed orthodontic appliances. They consist of a series of clear plastic “trays” that fit over your teeth exactly; each one moves your teeth a little bit, until they are in the proper position. Whether fixed or removable, each type of appliance may have advantages or disadvantages in particular situations. After a complete examination, the best treatment options for you will be discussed. 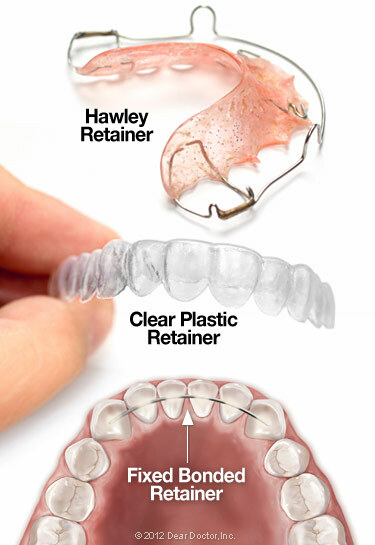 Once your orthodontic treatment is completed, it's extremely important to wear a retainer as directed. That's because teeth naturally tend to drift back to their original locations — which is the last thing you want after you've gone to the trouble of straightening them! Wearing a retainer holds your teeth in their new position long enough for new bone and ligament to re-form around them, and helps keep your gorgeous new smile looking good for a lifetime.